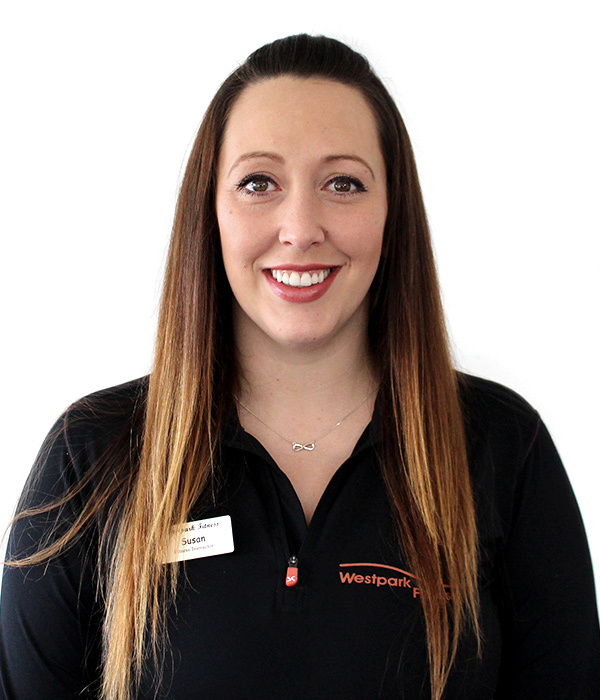 Hi I’m Susan and I have been a member of Westpark Fitness for as long as I can remember as I have always been interested in sports health and fitness. I loved the classes, staff and atmosphere so much that I took the plunge in 2015 and became part of the fitness team shortly followed by taking on personal training clients too. My favourite part of the day is classes. I love teaching all types of group exercise classes and just wish I had the energy to stay in the studio all day every day. I am also a qualified Les Mills Body Pump, Bodybalance and CxWorx instructor. I can’t pick my favourite class because they are all great. Just try them all and you will be hooked too. If you need any technical advice just let me know. "A high-intensity interval class using stationary bikes to push you to your limits within minimum time." My favourite type of training out on the gym floor is strength work from Powerlifting to Olympic lifts. I also love the energy and feeling from HIIT workouts. I took part in a powerlifting competition and would love to get more women involved in this great sport. I also do crossfit in my spare time. Hope to see you soon on the gym floor.